Brand New To RPGs? First of all, welcome to Tabletop Gaming! We recommend RPG newbies to watch our Introduction To Tabletop RPGs series first to get themselves familiar with the basics of how an RPG is played, how to go about picking a game, and finding a group to play with. Welcome to Roll20, this wiki page serves as a 101 course for a GM who's looking to move from the physical table to the virtual one. Moderator, Kristin, will guide you through how she sets up a tabletop campaign. Each video is accompanied with relevant info about the subject covered and includes links to wiki pages that flesh out topics only briefly mentioned in this video series. This crash course is specifically designed as an overview of how to get around Roll20 and what features are available in the application. For the nitty gritty details, we recommend topic searching within our wiki for more information. 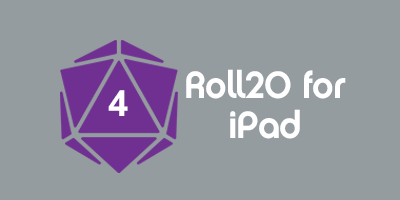 Roll20 is an easy-to-use system agnostic virtual tabletop. It's flexible to handle most Tabletop RPGs as well as simulate popular board and card games. Don't let our product name confuse you. Roll20 can run more than just d20 systems! We have players from around the world who commonly play games such as Star Wars: Edge of the Empire, Fate, GURPS, Fiasco, World of Darkness, Savage Worlds, Dungeon World, and many, many other official and homebrewed games. In this video series, Kristin will be building a basic Pathfinder campaign. This won't be a system specific tutorial, so if you're not familiar with Pathfinder, you should be able to still follow along just fine. If you are a Pathfinder player, there's a wiki guide dedicated to detailing tips and tricks to setting up a Pathfinder campaign in Roll20. If you purchase a module base from our Marketplace for a board game, card game or RPG campaign, these titles will be listed at the right of the campaign creation page. If you wish to run those modules instead of starting with a blank campaign, click on the desired one to select it before creating the campaign. Purchased module bases can be used and reused as often as you like. While you can learn how to create Pages and add content to them by just experimenting with the interface, here's a list of wiki links below for more indepth discussion about each feature of the Tabletop in particular. When a grid is activated on a Page, images and objects will be forced to snap to the grid. You can prevent snapping at any time by holding down the ALT key while interacting with content. All account users have access to the community created character sheet templates. It requires a Pro subscription to customize them or create your own. To see what character sheets are in the works or request help with on, check our Character Sheet forum. The Journal Tab: This wiki goes over all the features for character journals and handouts. Character Sheets: This wiki covers everything from how to add a template to your campaign to creating your own. Token Features: Everything you need to know about tokens and their properties can be found here. In order for journal linking to work properly, you must first set up the representation on the token. Only then should you add the token to the desired character journal. The macro used in the above video only works if every token is not only linked to a journal, but also requires the journal to have the "Initiative" attribute. If these two conditions are not met, the macro supplies an error message in the chat log. As mentioned in the video, users who plan to use text chat a great deal should look into using inline rolls for their macros. An inline roll eliminates the several lines of text that result from a dice roll and instead only lists the final tally of the roll. RPG System Guides: Some of our users have already created wiki pages explaining tips and tricks of how to play their favorite RPG systems. The two music tracks sampled from SoundCloud were also tracks by Kevin MacLeod. Fog of War: This tool is available to all account users. It hides and reveals area on the tabletop. Card Decks and Rollable Tables: This Wiki pages talks about how you can use and create your own card decks as well as rollable tables that can be used to create objects like dice that use pictogram sides or randomized equipment lists. Beyond using the LFG system, you can also use the Looking For Group Forum to find players. If your group chooses to go with voice or video chat, Roll20 offers two methods. There's a built-in video service provided by TokBox and you can launch the Roll20 application within a Google Hangout. Video and Voice Chat: This explains how to set up Roll20 to broadcast your mic/webcam to the rest of the party Playing in Google+ Hangouts: This walks you through how to launch Roll20 in Google Hangouts Live Stream and Record Game Sessions: A growing trend on streaming sites like Twitch.tv are gaming groups inviting the internet to come sit in on their games. If your group feels like streaming or recording their game for the masses, this wiki will guide you through the setup for livecasting your campaign. This page was last modified on 27 July 2015, at 23:09. This page has been accessed 250,668 times.